Tonight is the night, "Walking Dead" fans! 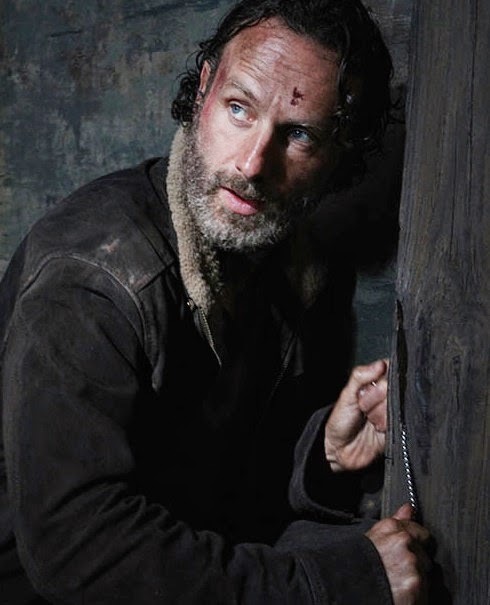 We've been waiting for what seems like an eternity for the start of season five and to make waiting until the premiere a little easier, AMC released the first four minutes of the episode. As expected, it's brutal and it starts with a surprising flashback of Gareth and a group trapped in the same way Rick and his "family" are trapped. Then it flashes to "Now" and things get really uncomfortable. Check out the beginning of the Scott Gimple-written, "No Sanctuary" and of course, tune in tonight at 9 p.m. ET followed by "Talking Dead" at 10 p.m. ET.